Our current promotion starts at only $120.00. Book online today and save $20 when using our coupon! Get $20 OFF when you book a 1/4 of a load and up! Use promo code 20 when you call/ use the booking form below, or print/take a picture of our coupon and present it to the driver. We guarantee we have the lowest prices on the market!!! You do not have to pay for the truck space that you don’t use. 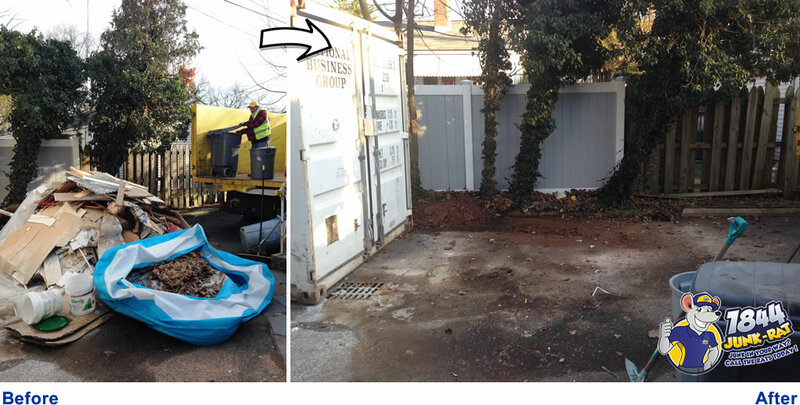 We do not drop a container in your driveway; We come with a dump-body box truck. You do not have to bag it or place it in any boxes, we do it ALL for you… All included in the flat fee price!!! We do not charge by the weight and we do not charge by the hour. No matter how long it takes to do the job, it is on us. All labor included in our prices… We send two people out with the truck. ( If the job is larger, we send more people). SAVE MONEY by paying based on volume instead of the length of time it takes us to lift and load. 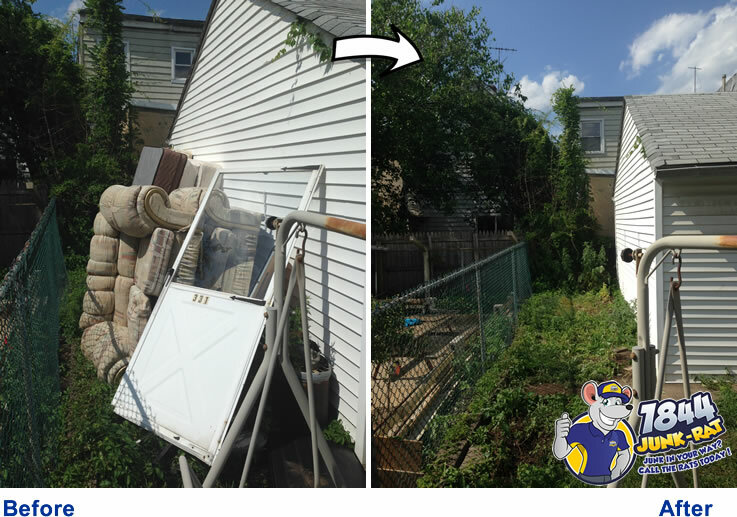 No matter where your junk is – basement, first floor, second floor and higher, or backyard, we will remove it from any location on the premises! Dumping fees are also included in the flat fee! Don’t get stuck paying this or other hidden fees! We provide free, no-obligation estimates in person. Our friendly customer service agents will be able to give you an idea of prices based on your description, but it’s our crew who will provide an exact quote when they arrive. * We donate any reusable clothing, furniture, shoes etc. to churches. With our donations they are able to help support missionaries in other countries. NO HIDDEN FEES, It’s just a FLAT RATE!!! If you have any question please call (908) 206-0223. 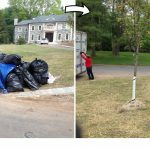 Our services include residential cleanout, garage cleanout, hoarder cleanout, basement cleanout, yard cleanout, furniture removal, appliance removal, estate cleanout, rubbish removal, junk haulers, demolitions and more. Maximum Cleaning can provide any furniture removal services in CitynameXX. If you live in CitynameXX and you are either disposing of an old sofa or a worn out dining table in order to make room for a new one or you are anticipating moving, we can accommodate your needs. Moving or disposing of furniture is always a stressful, labor-intensive task, but leave it to us at Maximum Cleaning to help you remove any unwanted furniture. Moving or remodeling are two common reasons which may cause you to look for someone to help you or if possible, find a company who offers such service in CitynameXX. You may have already found a potential suitor but the next question is: Do you have the budget to pay for it? Are they a local junk removal company that will charge a reasonable fee? If the answer to both those questions is not a resounding “YES”, then the services of Maximum Cleaning are what you need! Often times you will find a company that offers the services that you are looking for, but at a significantly higher rate. Other times, you initially think you got lucky to find a company offering low prices, however the quality of the services are just not what you were expecting. If you are on a budget but still want to get the best quality of services then look no further! Maximum Cleaning can provide the right trucks and a solid work force that will pull away that furniture! Our company will donate any reusable items that you are throwing out to a local church in CitynameXX. To take advantage of our premier furniture removal service for the best prices in CitynameXX, call us today or booking is also available through www.maximumcleaning.com. We, at Maximum Cleaning, fully understand how tricky it is when you’re searching for a good refrigerator removal in CitynameXX. There are many service providers out there, and selecting just one can be quite a challenge. But because we know that you’re worth 5 stars, you deserve a 5-star local junk removal company in CitynameXX. Junk removal, house cleaning, and demolition jobs – just name it, Maximum Cleaning has it. Our company has been offering local junk removal service in CitynameXX as well as other cleaning jobs in the area since 1997. We have polite and professional crews who are happy to fulfill your cleaning and junk removal needs. 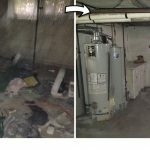 Looking for refrigerator removal in NJ? Just book an appointment with us and we will be to you in no time! Maximum Cleaning provides upfront pricing for refrigerator removal in CitynameXX. Our rates are incredibly low and it includes moving, loading, and removing in a single payment. To get our refrigerator removal service in CitynameXX, call us or book through www.maximumcleaning.com. For refrigerator removal in CitynameXX, Maximum Cleaning is the #1 choice! Maximum Cleaning now offers fast appliance removal in CitynameXX. Searching online for appliance removal in CitynameXX will provide you with tons of results, but if you want to find the best local junk removal company in CitynameXX, we strongly suggest you to check us out at Maximum Cleaning. Why us you ask? From the smallest type of appliance such as a gas stove to the largest type of appliance like a two-door refrigerator, we can get the job done quick and cheap. Maximum Cleaning also offers local junk removal service in CitynameXX for the lowest prices around. One of the benefits of utilizing our company is that we donate any reusable appliances and we also recycle any unwanted & damaged appliance. Don’t get tricked into paying hidden fees – our prices are based on the space your unwanted appliances take up in our 15-cubic yard truck. Our well-trained crews will do all the lifting for you – simply point to whatever you want us to pick up then sit back and relax while we do all the work! For appliance removal service in CitynameXX, call us or book through www.maximumcleaning.com. For quick and efficient appliance removal in CitynameXX trust only Maximum Cleaning! Maximum Cleaning – The Only Mattress Disposal Company trusted in CitynameXX. Living in CitynameXX can be amazing; but it’s a different story if your looking for a mattress disposal company. A reliable company that offers fast and efficient junk removal in CitynameXX is a must; that’s why Maximum Cleaning is the only choice! From twin size to California king, Maximum Cleaning can take away your old mattress. The best local junk removal company in CitynameXX, we are made up of well-trained, uniformed professional junk haulers who are trained to properly collect, lift, and responsibly manage your junk. The only effort needed on your end is pointing to what needs to be removed. Sit back and relax while Maximum Cleaning takes care of your mattress disposal! 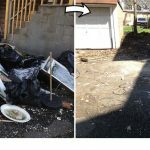 Choose our local CitynameXX junk removal service and we will provide you with a no-obligation free estimate on the spot. For CitynameXX, removals are typically done same day. To book our mattress removal service in CitynameXX, call us or do so through www.maximumcleaning.com. Maximum Cleaning offers full top-notch junk removal and cleaning services, including mattress disposal in CitynameXX. Hot tubs are extremely difficult to dispose of. 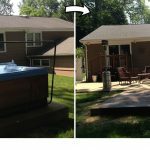 Since not all hot tub removal companies in CitynameXX do a great job, you want to look for one that does. Maximum Cleaning has been known and trusted for providing this service since 1997. 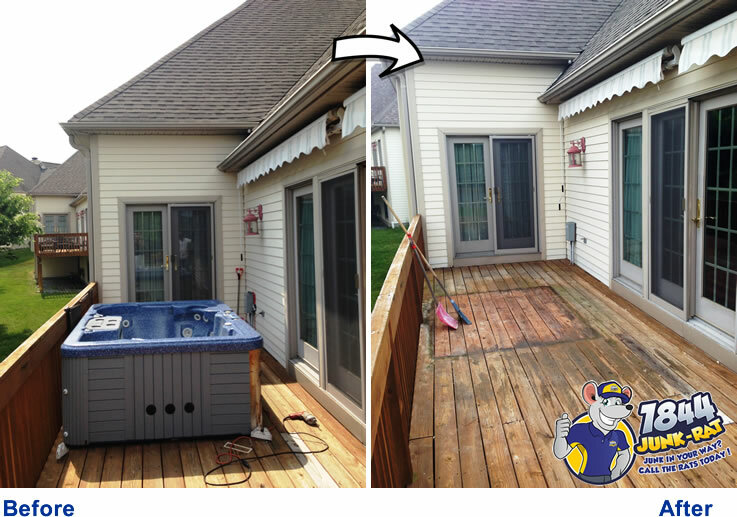 One of the reasons that hot tub removal can be tricky is because they are often built in to outdoor decks. Don’t trust just anybody to remove your hot tub or you run the risk of having your deck or its surrounding destroyed. Maximum Cleaning has extensive experience in hot tub removal and offers the best bang for your buck! Whether your hot tub is made of acrylic, rubber, wood, cement or stainless steel, Maximum Cleaning will gladly take it away for you. We pride ourselves on every hot tub removal job we do in CitynameXX, so you can count on us to get the job done right. Hot tub removal pricing is no different than any of our junk removal pricing – it is based on the amount of space it takes up in our truck. Once you agree with the price, we’ll go to your area to start the hot tub demolition and removal the right away. Our low-cost price includes all dumping fees and labor fees. This means you do not only save time, but effort and money as well! Schedule your hot tub demolition and removal service in CitynameXX by calling us or booking through www.maximumcleaning.com. For hot tub removal services in CitynameXX, trust only the experts – Maximum Cleaning. Maximum Cleaning Is Your Best Resource for Bicycle Removal in CitynameXX. Bicycles in CitynameXX are extremely fun to ride but when they become unusable, discarding them can be extremely difficult. If you have one lying around for months and don’t know how to dispose of it, there’s only one place that can help – Maximum Cleaning can help you with all your removal needs. Based out of New Jersey, we specialize in cleanouts and removals of all types including bicycle, appliance, hot tub, and more in CitynameXX. Whether it’s a mountain bike, a hybrid bike, or any kind of specialty bike that you want to discard, we will take them away and dispose of them responsibly. We will load them into our 15-cubic yard truck, so you don’t have to break a sweat and do the dirty work. If budget is a concern, there’s no need to worry. Our fees are based on the amount of space your items take up in our truck. Did we mention that we have the lowest rates around? You will not only save time, but also your hard-earned money. For our bicycle removal service in CitynameXX, call us or book through www.maximumcleaning.com. 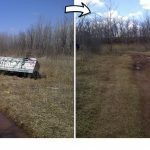 Maximum Cleaning is a local junk removal company that offers friendly and efficient bicycle removal NJ service. Need carpet removed immediately? Call Maximum Cleaning for fast Carpet Removal in CitynameXX! Carpets add class and pizzazz to any part of the home, but like other things they can get worn out through time. Removing carpet from floors can be tough, especially if you have multiple rooms of carpet throughout the home. 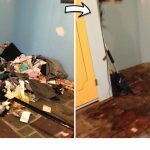 This doesn’t have to be a problem because there’s a reliable carpet removal company that’s always willing to help in CitynameXX – Maximum Cleaning. We are experts when it comes to carpet removal in CitynameXX. It’s been the most popular choice among local junk removal companies in New Jersey for years. It doesn’t matter if your carpet is woven, knotted, tufted, or needle felt; we’ll gladly remove them from your floors in an instant and dispose of them. We give upfront estimates based on the space your carpet takes up in our spacious dump-body style truck. This method is much more cost efficient compared to others that charge per truckload. You don’t have to do any preparation work – just tell us which carpet to remove and we will take it and load it into our truck immediately. 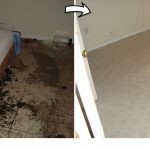 To get our carpet removal service in CitynameXX, call us or book through www.maximumcleaning.com. Maximum Cleaning is a local junk removal company that residents of CitynameXX have trusted since 1997. Maximum Cleaning Provides Fast Television Removal in CitynameXX. So, if you’re looking for a trusty television removal company in CitynameXX, we’re pretty sure that you’ve come up with the names of tons of service providers by now and aren’t sure which one to choose. If you want the best job done for the best price, there’s only one option – Maximum Cleaning. Flat, CRT, or not, we can deal with your needs for television removal in CitynameXX. Wide or small, there is no TV that cannot be handled by Maximum Cleaning in CitynameXX. We’ll take them and load them onto our truck – all you have to do is sit back, relax, and watch – they’ll be gone in seconds! Deemed as the top local junk removal company in CitynameXX, we at Maximum Cleaning base our prices upon the space that your TV takes up on our spacious truck. While booking, we give free estimates for your television removal service in CitynameXX. Our trained professionals are hardworking, friendly, and efficient at what they do. To schedule an appointment for our television removal service in CitynameXX, call us or book through www.maximumcleaning.com. For those searching for a good local junk removal service in CitynameXX, Maximum Cleaning is the #1 choice. Maximum Cleaning is the #1 Gym Equipment Removal company in CitynameXX. Finding the best gym equipment removal service in CitynameXX can be a bit tricky, most likely because there are now multiple companies that offer this service. When it comes to tasks like this you don’t want to settle for less; this is why you should choose the #1 locally trusted junk removal company in CitynameXX – Maximum Cleaning. Gym equipment is often extremely heavy and hard to move. 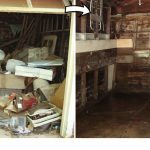 Trusting just any removal company can result in a disaster, including permanent damage to your home and the area surround where the equipment is stored. With 20+ years experience, Maximum Cleaning is the clear #1 choice in CitynameXX. Treadmill, weights, workout bars, stationary bicycles – you name it, we take it. Our highly-trained professionals will lift and load everything for you – you don’t even have to lift a finger! Most importantly, all of these are included in a single payment! Our services are guaranteed low-cost – no hidden charges at all. For gym equipment removal service in CitynameXX, call us or book through www.maximumcleaning.com. Hailed as the biggest local junk removal company in CitynameXX, Maximum Cleaning offers the markets’ lowest prices. Maximum Cleaning has the most reliable scrap metal removal service in CitynameXX. Removing scrap metals in CitynameXX can be problematic, especially if they’ve been lying around for quite a while. If you’re looking for a good scrap metal removal company in CitynameXX, there’s no need to look any further. Maximum Cleaning has everything to meet your needs for scrap metal removal. Whether it’s iron, aluminum, or any other types of metal, Maximum Cleaning can dispose of them for you. If you choose our services, all you need to do is point to what you want to discard and your junk will be gone in a flash. No touching of junk or lifting on your part – whether it’s all located in one area or scattered throughout the property, our team will make sure they remove every last piece. 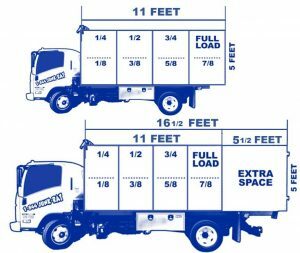 Our rates in CitynameXX are based on how much space your items take up in our truck. Our junk haulers are well-trained, polite, and the reason why we’re hailed as the number one local junk removal service in New Jersey since 1997. For scrap metal removal service in CitynameXX, call us or book through www.maximumcleaning.com. With Maximum Cleaning, you’ll get fast, friendly, and economical services. Fast and reliable computer recycling offered by Maximum Cleaning in CitynameXX. Computers are nice to have in the home; however they can easily turn into clutter once they become defective and unable to work. You can always recycle your computer so they won’t add up to the waste in landfills. Our company is eco-friendly and recycles anything we are able to; we try to avoid dumping at any landfill. No matter what your computer recycling needs in CitynameXX are, we’ve got you covered. Desktops, laptops, tablets, or netbooks – we can recycle your computers so they can be transformed into something more useful while also not damaging the environment. The great thing about Maximum Cleaning’s computer recycling services in CitynameXX is that we only charge you based on how much space your computer takes up in our spacious truck. Less junk, less expenses! Even if you have lots of them, don’t panic, our company offers the lowest prices around, so you can be sure that you won’t find a better deal anywhere. For our computer recycling service in CitynameXX, call us or book through www.maximumcleaning.com. No matter your needs, Maximum Cleaning can meet them! Maximum Cleaning makes printer recycling easy in CitynameXX. One of the most useful devices one can have these days is a printer. They can be used for putting valuable documents or photos onto paper. But what if it suddenly stops working? It’s not as simple as just throwing it in the garbage can due to the fact that certain towns have specific guidelines and regulations. Don’t know what to do? Let Maximum Cleaning handle it. At Maximum Cleaning, no printer is too big or small for our printer recycling services in CitynameXX; we will handle everything! All you need to do is show our trained professionals what you want to recycle. You do not have to touch or lift the printer; you can leave everything up to us! Most importantly, no one can beat our prices! 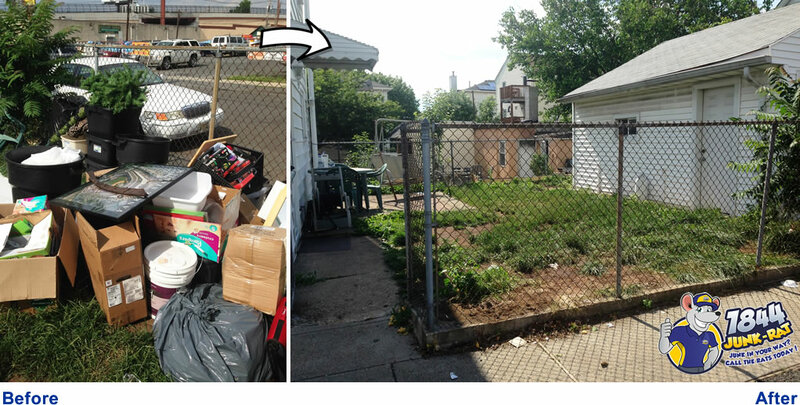 This is why we are the leading local junk removal service in CitynameXX. Our printer recycling services in CitynameXX come with low-cost fees. These fees are based on how much space your printer is going to take up in our truck. Our highly-skilled crews will take your printer and recycle it accordingly within a given time frame, as we are an eco-friendly company. You save money, effort, and time as well! To get our printer recycling service in CitynameXX, call us or book through www.maximumcleaning.com. For fast and cost-effective local junk removal in NJ, trust only Maximum Cleaning! Maximum Cleaning is the #1 provider of monitor recycling in CitynameXX. In today’s world, particularly in CitynameXX, monitors are everywhere. Not only do we use them at home, but many people also stare at them the whole day at work. But just like any other technological device, monitors eventually stop working. This is when you need to decide whether to throw them away or recycle them. However, often times it is not as simple as putting them out for the trash with other garbage due to state and federal regulations? If you’re unsure, use Maximum Cleaning. 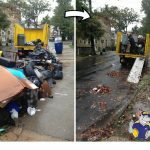 Considered the biggest local junk removal company in New Jersey, Maximum Cleaning recycles almost all types of junk, including computer monitors in CitynameXX. Wide or small, you can count on our services to remove your old monitors. Our crews are highly-trained and skilled, which allows us to provide the best service possible. If you’re looking for the best prices in CitynameXX for monitor recycling, use Maximum Cleaning. We only charge for the space that your monitors take up in our truck. Price estimates are free; and once we finalize the price, your job will often be done the same day or the next day at the latest. Most importantly, we do all the work. No preparation is necessary on your end – just show our team what needs to be taken away and it’s gone! To use our monitor recycling service in CitynameXX, call us or book through www.maximumcleaning.com. For maximum results and efficient cleaning services, use only Maximum Cleaning! Complete garage cleanout services in CitynameXX are one of our specialties at Maximum Cleaning. Your garage should house your car in addition to a few tools and accessories. If you’re harboring more than that, chances are you’re in need of a complete garage cleanout specialist. Don’t settle for less, only the best in CitynameXX with Maximum Cleaning. Currently the largest local junk removal company in CitynameXX, Maximum Cleaning aims to make your day-to-day life easier by providing services with maximum efficiency in CitynameXX. Whether your garage is big or small, we will take care it and give the garage a whole new image. Our team is made up of well-trained and highly efficient professionals, so you can count on us for your cleaning needs. 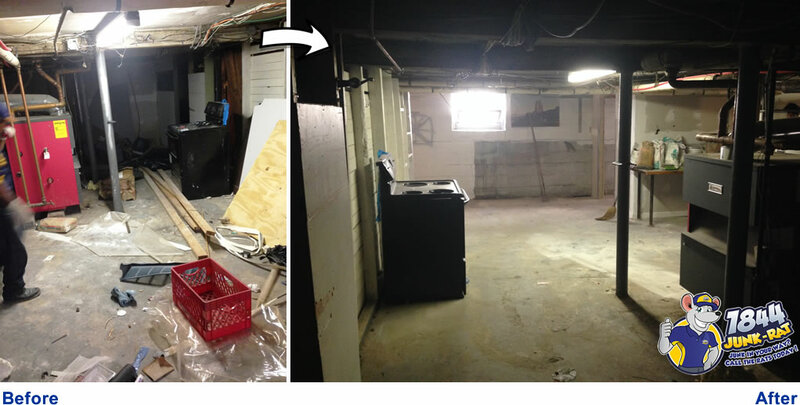 We offer the lowest rates for garage cleanout services in CitynameXX. You’ll only pay for the space that your items take up in one of our spacious trucks. We will do all the work for you; you don’t have to worry about lifting a finger or breaking a sweat. Just show us what you want hauled away and your garage will be cleared in no time. 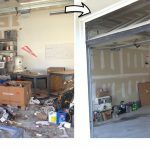 To get our garage cleanout service in CitynameXX, by call us or book through www.maximumcleaning.com. Maximum Cleaning is a local junk removal company in CitynameXX that’s friendly both to you and your wallet! Thorough yard waste removal in CitynameXX is provided by Maximum Cleaning. One of the biggest problems for homeowners in CitynameXX is yard waste. Leaves, overgrown or dead grass, and dirt can be an eyesore. 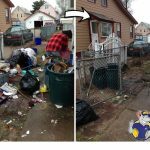 Luckily, there is one yard waste removal company that caters specifically to various yard cleaning needs in CitynameXX – Maximum Cleaning, the top leading yard waste removal company. Certified and proven to be the largest local junk removal company in CitynameXX, Maximum Cleaning allows you to sit back and relax as we remove all your yard debris; all you have to do is tell us what you want to discard. Once we’re done, we are sure to leave your yard looking gorgeous, green, and waste-free. Our rates for yard waste removal in CitynameXX depend only on how much space your yard waste occupies in one of our trucks. The fees are all-inclusive; meaning we do all the loading, removal, and discarding without any additional fees. All landfill and transfer station fees are already included – No hidden charges at all! To schedule our yard waste removal service in CitynameXX, call us or book through www.maximumcleaning.com. Maximum Cleaning is a local junk removal company in CitynameXX that’s committed the best, low-cost cleaning services. Maximum Cleaning is the most trusted rubbish removal in CitynameXX. The need for rubbish removal can come about in a number of ways. Whether it’s construction-related materials left over from a job or simply an accumulation of items over the years, it’s often and large, time consuming job that you don’t want to tackle yourself. 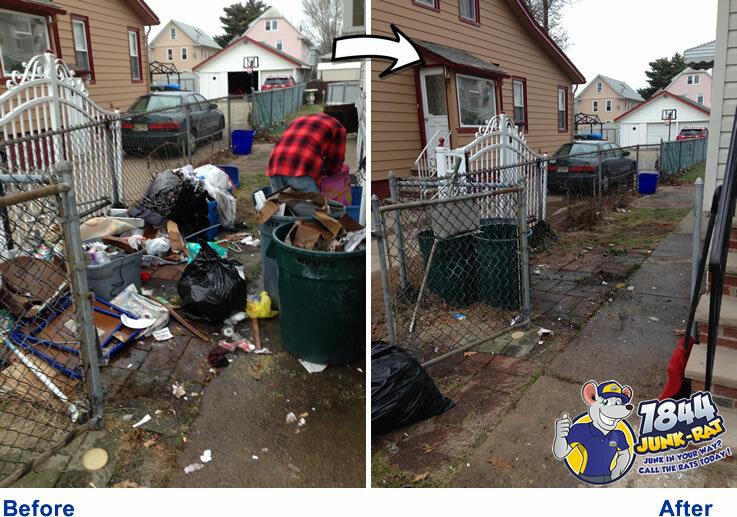 This is the main reason why we here at Maximum Cleaning specialize in rubbish removal. We have a highly-skilled and trained team to do the dirty jobs, so you don’t have to! Whether single or multiple loads of rubbish, our local junk removal company will gladly remove all your unwanted rubbish for you in CitynameXX. The best thing about this? We’ll do all the collecting, lifting, loading, and cleaning – there is 0 preparation required from your end. Our rubbish removal prices in CitynameXX depend on the volume your rubbish takes up in our truck. This is the reason why our prices are the lowest around. 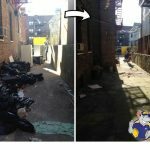 To schedule our rubbish removal service in CitynameXX, call us or book through www.maximumcleaning.com. 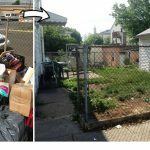 For thorough rubbish removal in CitynameXX trust only Maximum Cleaning – a local junk removal service in New Jersey that cares. Remove above ground pools in CitynameXX with Maximum Cleaning. Above ground pools are an amazing addition to any home. They add a unique accent to your backyard, plus are a great bonding place for the family. When they get damaged or completely ruined, you will need to remove them and fast. This is exactly what we at Maximum Cleaning are here for – to help you remove and dispose of your unwanted above ground pool in CitynameXX. Large or small, round, square, or oval, we’ll gladly remove your unwanted above ground pool in CitynameXX. We have the latest technology and advanced machinery to do the job, combined with fast and efficient crews who are well-trained to do the job. Our price for above ground pool removal is determined by how much space your pool takes up in one of our spacious trucks. There’s no chance of overspending though, because our rates are currently the lowest in CitynameXX. 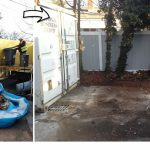 To get our above ground pool removal service in CitynameXX, call us or book through www.maximumcleaning.com. Maximum Cleaning is a local junk removal company, that’s been relied on since 1997 and is committed to provide 100% satisfaction in CitynameXX. Fast construction debris removal in CitynameXX is offered by the area’s #1 junk removal company – Maximum Cleaning. Construction debris is something we deal with every day, so let our team at Maximum Cleaning help you get rid of that unnecessary debris in your home or yard. Removing construction debris can be very difficult for a homeowner because it’s often quite heavy and there tends to be a large volume of it. Fortunately, you don’t have to pick up any of that construction debris up yourself! Allow the professionals at Maximum Cleaning to do that for you. With over 20+ years in business, Maximum Cleaning specializes in local junk removal services in CitynameXX. No matter the amount of location of the debris, you can rely on us to get the job done fast, efficient, and thoroughly. Maximum Cleaning’s rates in CitynameXX are incredibly low. Our rates are based on the amount of space you debris takes up in one of our trucks – don’t get stuck paying hidden fees! Just tell us what you want removed as we collect, lift, and load everything into our trucks. For construction debris removal service in CitynameXX, call us or book through www.maximumcleaning.com. 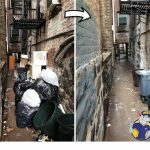 For the lowest prices in the tri-state area, choose Maximum Cleaning for your CitynameXX junk removal services. Maximum Cleaning’s estate cleanout services are all you need in CitynameXX. Estate cleanouts are never easy – often times you are parting with years of memories that these items hold. This is the main reason why having the assistance of a professional is a must. If you’re searching for a reliable estate cleanout company in CitynameXX, it’s best that you opt for the biggest – Maximum Cleaning. Regardless of how big or small your estate cleanout service needs are, Maximum Cleaning can meet your needs. We have well-trained professionals that will get the job done quickly and efficiently. There’s no effort needed on your part – just tell us what to remove and we will get the job done! Pricing for estate cleanouts in CitynameXX are determined by the space your items occupy in one of our trucks. This allows us to provide the best quality estate cleanouts for the best prices. 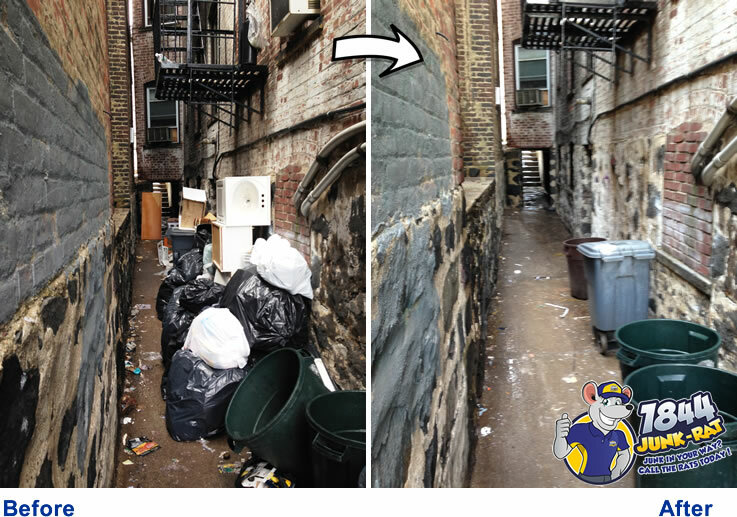 For our estate cleanout service in CitynameXX, call us or book through www.maximumcleaning.com. Get Maximum Cleaning’s fast, friendly and one-of-a-kind Estate clean-out service in CitynameXX today! Maximum Cleaning is the area’s #1 sofa removal company in CitynameXX. Let’s be honest, no matter where you live chances are your home has at least one sofa. Eventually the time will come for it to need to be removed whether it gets damaged or you are simply replacing it with a new purchase. This is when you need a good sofa removal company. At Maximum Cleaning we’ll haul your sofa away so you don’t have to worry about it. It doesn’t matter whether it’s modern, sectional, or classic, we can help you with your sofa removal needs. Since you are in CitynameXX, you’ll want to use the best and that’s us! We have the most reliable crews, providing them with intensive training in order to serve our clients with quality service. Our prices for sofa removal in CitynameXX are dependent upon the space that your item takes up in one of our spacious trucks. There’s no reason to worry however, because our rates are currently the lowest in town. Best of all you don’t have to do any preparations – Simply tell us what to remove and we’ll get the job done in an instant. To schedule our sofa removal service in CitynameXX, call us or book through www.maximumcleaning.com. Maximum Cleaning is a local junk removal company with over 20 years experience since its establishment in 1997. The biggest junk removal company in CitynameXX, Maximum Cleaning provides quick and easy washer & dryer removal. Some of the most useful appliances we have at home are washers and dryers. Without them our day-to-day routines wouldn’t be the same, but even your reliable washer or dryer can get in the way once they are no longer working. It’s quite hard to throw them out on your own considering the weight and size of the appliance. The good news is we at Maximum Cleaning have you covered for your washer & dryer removal needs in CitynameXX. No matter how big or small they are, we can pick up, transport, and dispose of them properly. Our crews will do all the heavy lifting for you. Pricing for our washer & dryer removal service in CitynameXX is dependent only upon how much space they occupy in one of our trucks. Don’t get stuck paying by the hour or for any hidden fees (which are common when disposing of appliances) – our prices are all inclusive. We offer the lowest rates in CitynameXX! 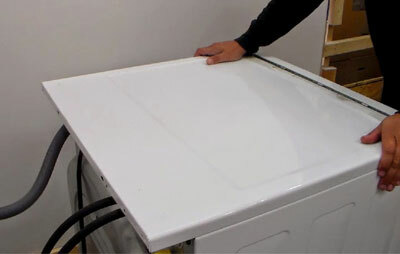 For our washer & dryer removal service in CitynameXX, call us or book through www.maximumcleaning.com. For fast, reliable, and friendly washer & dryer removal in CitynameXX, look no further than Maximum Cleaning. Maximum Cleaning offers complete basement and attic cleanouts in CitynameXX. Two of the most common areas in the home that accumulate items are the basement and attic. If you are in search of someone to handle your basement or attic cleanout, look no further. For the most reliable basement or attic clean-out in CitynameXX, Maximum Cleaning has all the cleaning services you need. If there is anything in the home that can be reused, we will donate it to a local church in CitynameXX. Narrow, wide, big, or small there is no basement or attic that cannot be cleared by Maximum Cleaning in the CitynameXX area. With the best team around, we guarantee that once we leave your basement or attic will look as good as new. Our local junk removal company delivers amazing results without the hefty price tag. We offer the lowest prices for basement or attic cleanouts in CitynameXX. Don’t get stuck paying hidden fees! Our prices are all inclusive and based only upon the amount of space your items take up in one of our trucks. To schedule a basement or attic cleanout in CitynameXX, call us or book through www.maximumcleaning.com. For all your junk removal needs in CitynameXX, count only on Maximum Cleaning. 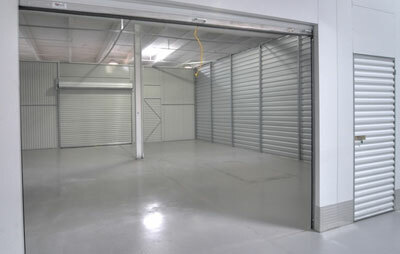 Complete storage unit cleanout in CitynameXX provided by Maximum Cleaning. Storage units are useful mediums for storing valuables. However, they can eventually accumulate junk over time. This is the reason why people in CitynameXX search for a dependable local junk removal company to do the job. Luckily, there’s no need to look any further, because Maximum Cleaning has the best storage unit cleanout services in CitynameXX. No matter the size of the storage unit, our prices are based on how much space your items take up in one of our spacious dump-body style trucks. 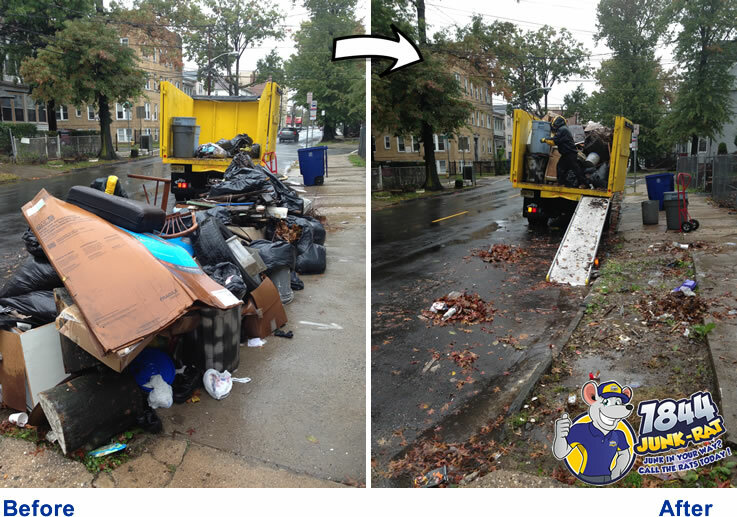 We have the best crews around; they have gone through intensive training for cleaning and junk removal. Our storage unit cleanout services in CitynameXX are currently the lowest priced in town. The price includes all cleaning and labor, so just tell us what you want us to haul away! Maximum Cleaning is a local junk removal service company that’s committed to quality service and client satisfaction in CitynameXX. Maximum Cleaning is CitynameXX’s #1 junk removal company. Junk removal is never an easy task. Whether it be sorting and lifting or transporting the items, chances are you need a professional junk removal company to handle the job. When this is the case, use the area’s #1 company – Maximum Cleaning. When it comes to the best cleaning services in CitynameXX, there’s no other name to call. Whether you have single or multiple bins of junk we’ve got you covered here at Maximum Cleaning. A local junk removal company, we’ve been in the business since 1997. With over 20+ years of experience, we’re CitynameXX’s #1 choice. Our junk removal service in CitynameXX is priced according to the space your items take up in our 15-cubic yard truck. When calling, we provide you with a free price estimate based on the description you give us. Once price has been established, we can either book you the same day (depending on availability) or schedule you for another day if you desire. The price is all inclusive; meaning, the lifting, loading, and also our dumping fees. Don’t get stuck paying hidden fees! 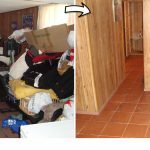 For our junk removal service in CitynameXX, call us or book through www.maximumcleaning.com. Maximum Cleaning is a local junk removal provider that focuses on providing quality service at a low price! 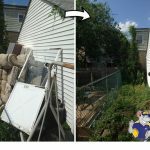 Professional deck removal services in CitynameXX provided by Maximum Cleaning. Decks offer a nice place for the family and friends to hang out. But over time they can become worn out or even destroyed by Mother Nature. When this happens, you’ll need to find someone to provide deck removal services as quickly as possible. In choosing Maximum Cleaning, you are getting a reputable deck removal provider that’s been serving CitynameXX for 20+ years and is trusted by the community. Whether it’s made of wood, hollow blocks, stone, bricks, or another material, no deck matches the strength of our highly advanced equipment at Maximum Cleaning. 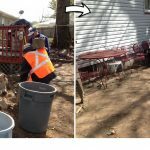 Our deck removal service in citynameXX offers unmatched quality, as we employ the most well-trained professionals to do the job. Our deck removal prices for CitynameXX vary, but we guarantee that we offer the lowest rates around. If you’re looking for the a quality job at the best possible price, look no further than Maximum Cleaning. 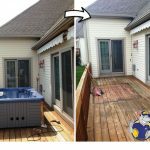 Our deck removal service in CitynameXX can be booked via telephone at (908)206-0223 or online at www.maximumcleaning.com. Call us now for a free, no-obligation estimate. For fast and trusted local junk removal service, rely only on Maximum Cleaning. 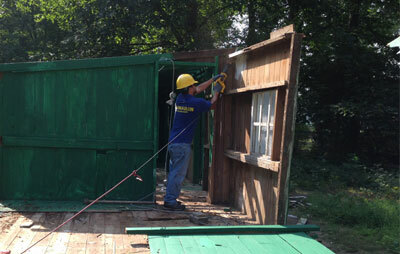 Affordable shed demolition provided by Maximum Cleaning in CitynameXX. Shed demolition is a difficult job. It requires special machinery as well as proper training in order to avoid potential injuries. 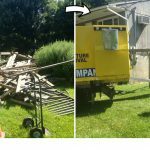 So rather than worry about these issues, hire a professional shed demolition service in CitynameXX. When it comes to demolition jobs, you can count on Maximum Cleaning. Large or small, we don’t turn away any job that includes a shed that needs to be removed in CitynameXX. Using the most advanced equipment, we will typically get the job done the same day. The best thing about our shed demolition service in CitynameXX is that we offer the lowest prices on the market. Your flat fee includes all the labor, hauling, and proper disposal involved in the process. 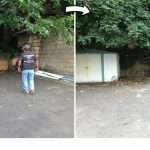 For our shed demolition and removal service in CitynameXX, call us or book through www.maximumcleaning.com. If you’re looking for the most affordable local junk removal company in CitynameXX, Maximum Cleaning is the #1 choice. Speedy fence removal in CitynameXX provided by Maximum Cleaning. Fence framing your yard adds a nice touch to it, but there comes a time when they get old, damaged or broken which leads to them needing to be removed. Removing fences is a tricky task and also time consuming, so it’s normal to seek help! The good news is Maximum Cleaning offers speedy fence removal service in CitynameXX. Whether your fence is made of wood, metal, or other materials, we at Maximum Cleaning can do the job in a fast and efficient manner. 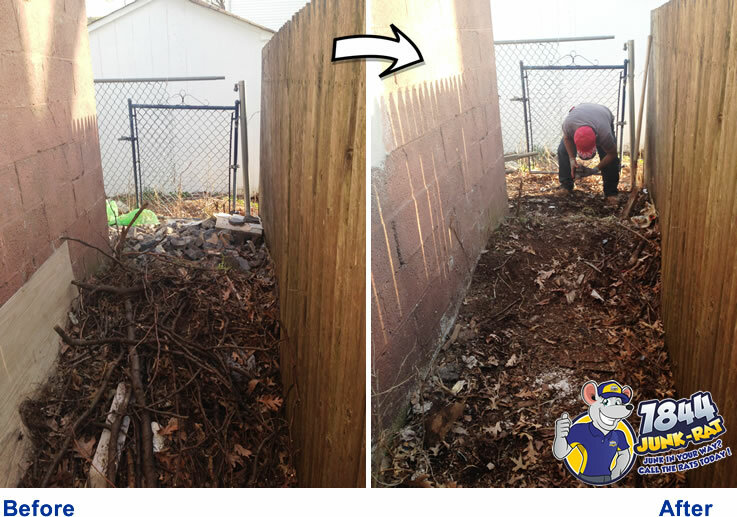 Our crew members are well trained and experienced, so providing fence removal services in CitynameXX is easy, simple, and quick. Our prices for fence removal in CitynameXX depend only on the space your fence consumes in our truck. Our rates are the lowest around, so you’re sure to get your money’s worth. 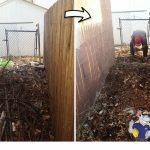 To schedule fence removal services in CitynameXX, call us or book through www.maximumcleaning.com. Affordable wall removal provided by Maximum Cleaning in CitynameXX. Wall removal is an extremely difficult job. It requires special tools to get the job done properly and there are countless problems you can run into if the job is not done properly. Why worry about this when you can get a professional wall removal in CitynameXX? When it comes to wall removal jobs, you can count on Maximum Cleaning. No matter how big or small, Maximum Cleaning can provide all wall removal services in CitynameXX. Using the most advanced equipment, we will get the job done the same day in almost all cases. 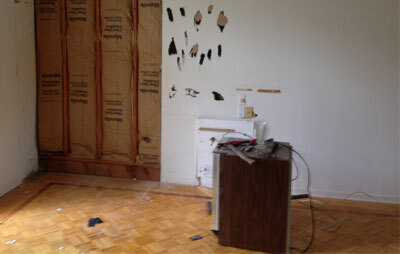 The best thing about our wall removal service in CitynameXX is that we offer the lowest rates in town. We charge a one-time, all-inclusive fee which includes all the labor and disposal of the remains. 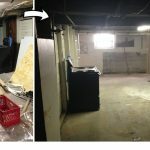 To schedule our wall demolition and removal service in CitynameXX, call us or book online through www.maximumcleaning.com. For the most affordable local junk removal company in CitynameXX, the only choice is Maximum Cleaning. Book an appointment using the tab above or call (908) 206-0223. Our uniformed team will arrive and provide a free, no obligation junk removal estimate. 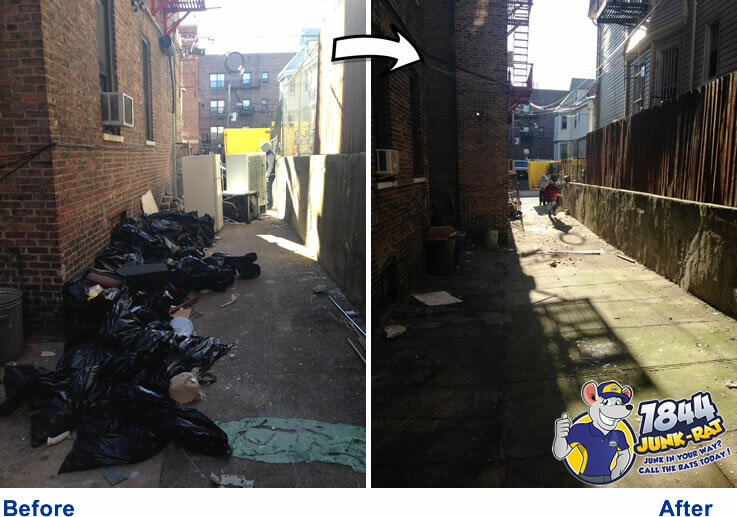 We offer same day junk removal in New Jersey	. We'll remove items from wherever they are located (even from the yard or basement), load them into our truck, and sweep up the area before we leave. Dragging junk to the curb is a thing of the past! We operate with extreme respect for our environment and in a responsible manner. We recycle, and whenever possible we donate. We're always looking at ways to prevent materials from going to a landfill.